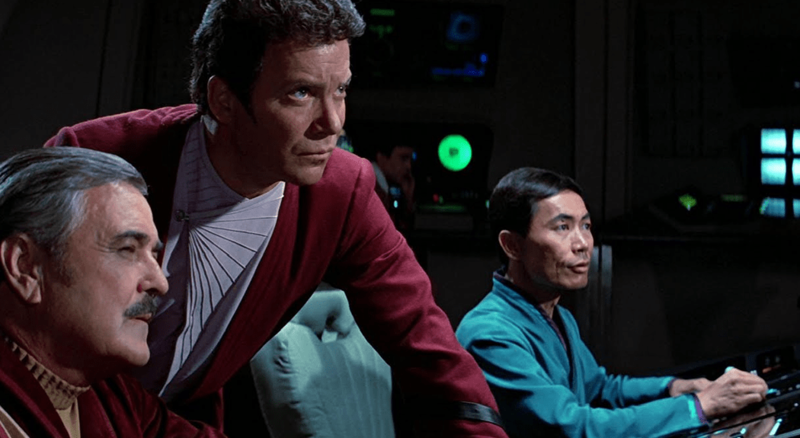 Hello and welcome to Truth OR Myth, in today’s episode we take a look at the quote “The Needs of the Many,” and explain what exactly it means and how it applies to Star Trek situations. And when I started making my Hero or Villain Captain Episodes I found many people defending Janeway because of this one simple line and it got me thinking, does it really apply to the Tuvix Murder Situation? OK OK, so we’ll dive into this question a little more to see why it doesn’t. Let’s start off with examining why Spock said it in the first place. And really that’s the Key to the whole saying. Spock is sacrificing himself to save his friends and the crew of the Enterprise. He’s in his own version of the no-win scenario, the Kobayashi Maru. If he does nothing, the Enterprise and her crew die, if he fixes the Engines, he dies. Its a noble and honourable thing to do. And something I’ve often hoped to have the courage to do if I’m ever in that sort of No Win Scenario. A lot of times when people quote this line they forget that Kirk turned it around in the next movie Star Trek III: The Search For Spock with the “Needs of the One,” line. Essentially proving that Spock’s quote is not always an accurate assessment. The Enterprise Senior Officers, Spock’s friends, were willing to sacrifice EVERYTHING in order to save Spock, something that shouldn’t be ignored when the line is quoted. Now lets fast forward once again to Captain Janeway and Tuvix. What’s the difference here? And why doesn’t that same logic Spock had to apply? Well, it’s simple, it wasn’t Tuvix’s choice like it was Spocks. 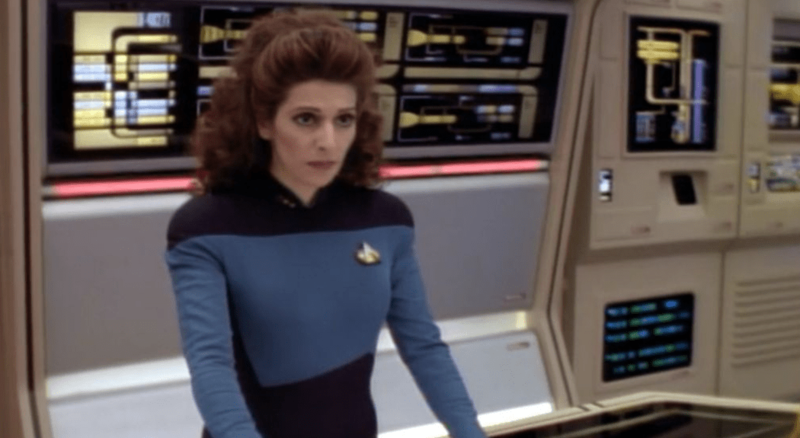 In the TNG episode Thine Own Self, we get treated to Counselor Troi wanting to take a bridge officer’s test, become a commander, and be able to command the ship. I’m sure a lot of people who watched my Troi episode know how I feel about that absurdity, but that’s not what this episode of Truth OR Myth is about. What happens in that episode is Troi is stumped at what she needs to do in a no-win scenario to save the ship. Eventually, she comes to the answer and orders Geordi to his death. All very dramatic and in line with Spocks little saying, but ask yourself, what would have happened if Geordi had said no? Well, he would most likely have been relieved of duty and perhaps even arrested. Probably would have been thrown out of Starfleet if not even jailed for a short while. But he had the choice. The consequences for him refusing to follow the order are his to bear, but another what if to consider is what if Troi had said too bad and forced him into the repairs where he died? 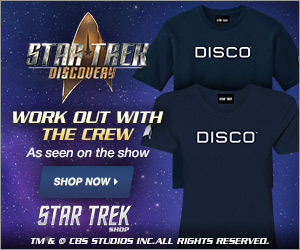 Do you think that Spock’s line would stop Starfleet from trying her for murder? Of course not. All Human and Aliens have rights, whether they serve in Starfleet or Not. And one of those rights is the freedom of choice. And forcing someone to give up that right is against EVERYTHING Starfleet stands for and would be tantamount to one person, the commanding officer, owning like property the officer it ordered. You may not like the idea of someone saying no, but it IS there right to do so. So let’s bring it back to Janeway and Tuvix, see what I’m getting at yet? Janeway forces an alive and sentient being to sacrifice himself. She is a villain in that way. She doesn’t get to say who lives and who dies, she can only ask, or as people will put it order it. If it had been Harry Kim sitting there and she said sacrifice himself and he said no, and she went ahead and forced him to, would you still be saying yes that’s a hero thing to do? It’s a ridiculous argument that people think that line justifies murder… That was never the intent of that quote. Put simply, it was intended to justify a noble sacrifice, one which Tuvix was NOT willing to make. A lot of people hate the character of Tuvix, calling him an abomination. I personally disliked the character as well. He was annoying and selfish and I’m glad he didn’t stick around to be a permanent addition to the crew. That being said, however, Janeway’s actions were even more selfish. It was a case of the needs of the one, Janeway’s outweighs morality and the rule of law. The whole situation could have been dealt with better by both Janeway and the Writers to make it something spectacular, to really show off Starfleet morals and human evolution. Unfortunately, it ended up being something more of a steaming pile of Garbage. 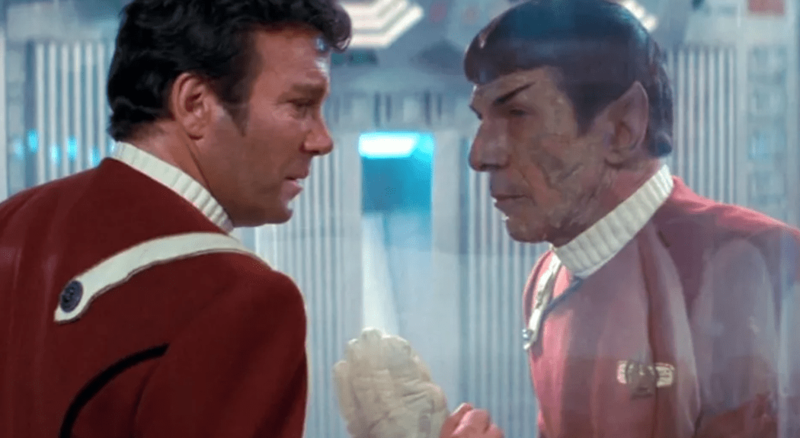 Star Trek is always at it’s best when it’s hero characters are self-sacrificing. There’s no doubt about that. And I’m sure had Tuvok been placed in that situation he would have sacrificed himself for the good of the other 2 crewmen. But the fact that it is these 2 men that are combined into an unholy love child means that the writers really got it wrong. 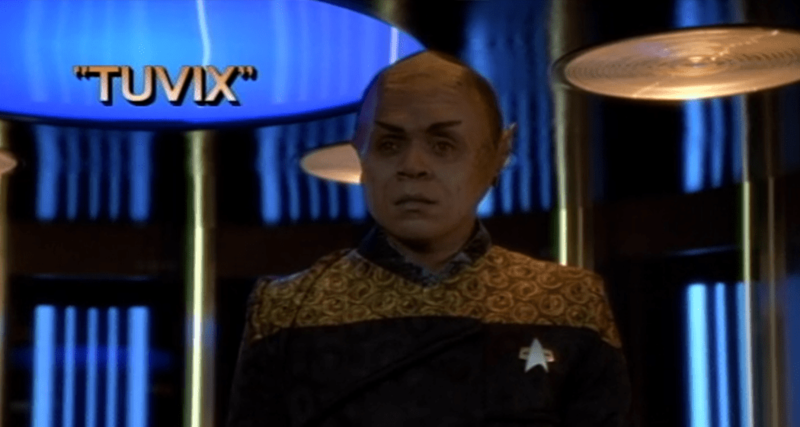 I mean think about it, If Tuvok would have been self-sacrificing and you believe as Janeway said that Neelix would be too, then why isn’t Tuvix? How did those to positive core bits of intelligence combine to create a negative one? The only answer would be one or both would NOT sacrifice themselves to save the many… To me that would probably have been Neelix, and why should he? Is it unevolved to want to protect one’s self? Is it selfish? Well, go take a bullet for someone else and let me know what you think. When you watch Trek and decide to quote a line from it to support an argument step back and ask yourself, what is this line really all about? Does it actually apply to this situation? Does it even make sense in this situation? 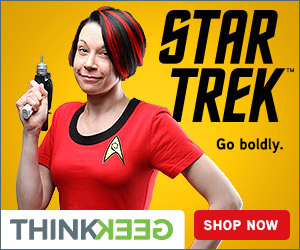 Because there’s nothing worse than quoting something you don’t understand, Spock would NOT approve! Thank you for watching today’s episode of Truth OR Myth. Have something you’d like to add to the many out there? Then leave a comment in the section below. And don’t forget to like and subscribe to channel hitting that little bell icon so you won’t miss a single video we release. And if you’d like to help the channel out by donating a bit of Latinum, the head to our patreon page.